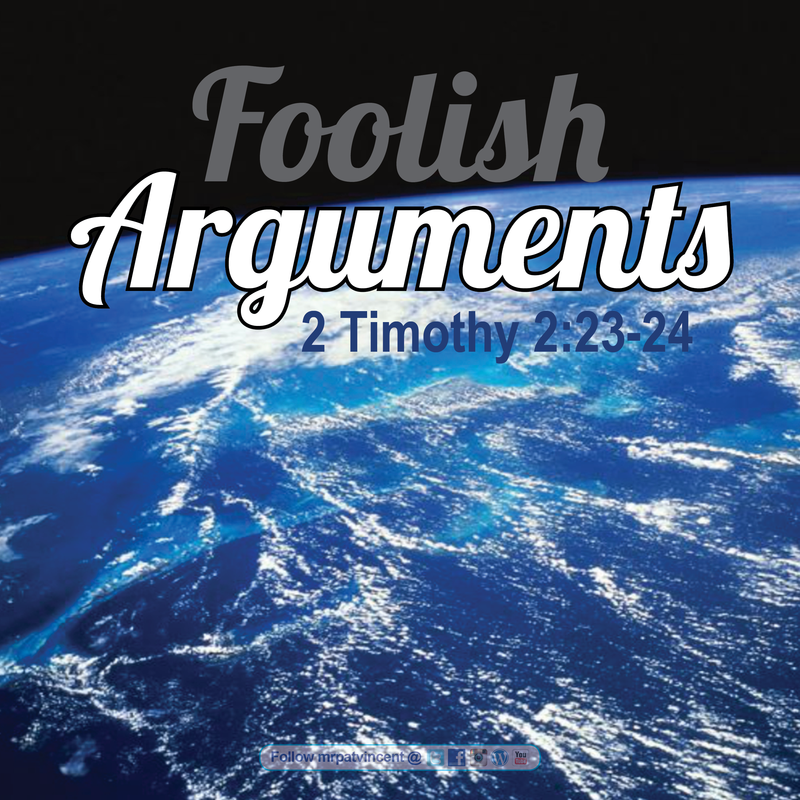 Paul purposely and repeatedly cautioned Timothy against “un-instructive” questions that ultimately benefited no one. These type of arguments breed pointless feuds among Christians and ministers let alone with secularists. Don’t have anything to do with them. Other translations read: Reject them. Flee from them. Avoid them. Before there is a backlash, allow me be plain: Asking questions is not foolish and stupid. We are encouraged to do so! However, whether the earth is 6,000 years old or 6,000,000,00 years old really doesn’t change my relationship with the LORD in the littlest bit. In the end, our focus should be on Jesus. A good student imitates his/her teacher. Our teacher is Jesus. He did not have anything to do with foolish arguments, quarrels, or disputes. He was a beacon of meekness, mildness, and gentleness. Our Faith grows from believing and practicing what God desires, not from guessing how old a rock is. This entry was posted in Christian and tagged Bible, Christ, Christian, Christianity, church, Creation, David, Faith, God, God Bless, God Loves You, God's love, God's Praise Room, Gospel, Heart of David, Holy Spirit, HolySpirit, Hope, Jesus, Jesus Christ, liveforJesus, Lord, Love, Ministry, Not a Fan, prayer, Preach, Psalms, Religion, Religion & Spirituality, Salvation, Scripture, spiritfilledlife, spiritualwarfare, Worship. Bookmark the permalink.